The RUNAWAYS are back, but are they ever, ever, ever getting back together? Did Chase and GertвЂ™s love survive their time apart? Have Karolina and NicoвЂ™s feelings made their friendship impossible? 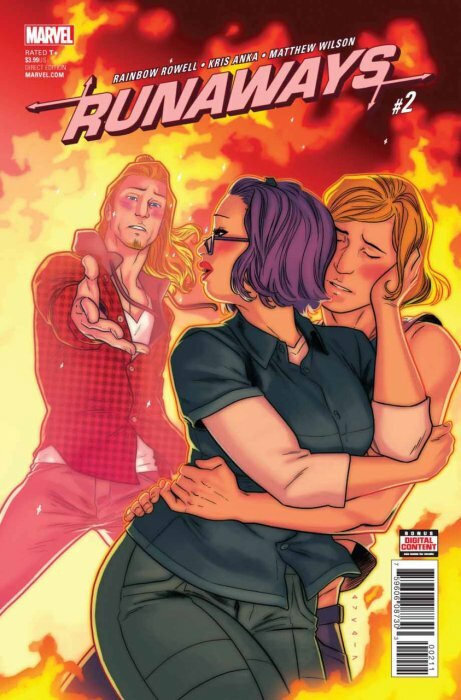 What emotional land mines lie in wait to DESTROY the Runaways?! And should we be more worried about those, or about the shadowy scientist watching them from a distance?